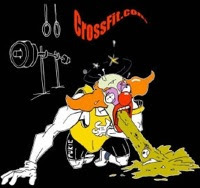 Post reps completed to comments and/or register and submit your results as part of the 2015 Reebok CrossFit Games Open. Top male and top female scores will receive $2015. Watch archived footage of Josh Bridges and Scott Panchik on Workout 15.4 on the CrossFit Games site.